The Pura Vida/Zumba Studio in Kennebunk has been the focus of an investigation by Kennebunk police into suspicious activities, including possible prostitution, that began in September 2011. 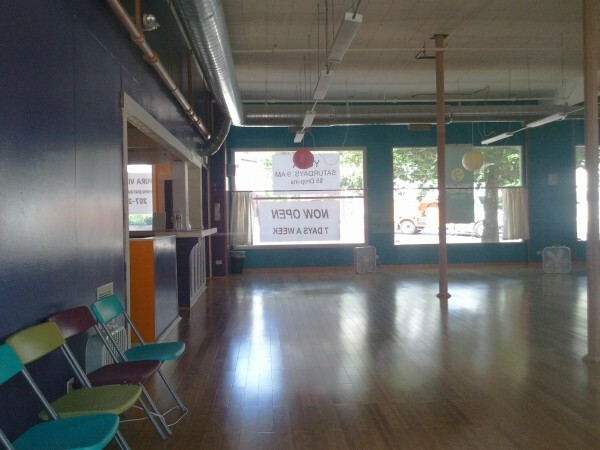 KENNEBUNK, Maine — The landlord of the building where Alexis Wright ran her Zumba studio has filed a lawsuit against Wright, seeking $67,800 in damages. In the lawsuit, filed [last month], the owner of 8 York St., T&B Inc., says Wright and her business partner Mark Strong, who co-signed a March 2010 lease, breached that contract by not paying rent or property tax contributions. T&B Inc. says it is owed $67,800 in back rent and property taxes, as well as anticipated costs for the remainder of the five-year lease. Wright and Strong already are facing more than 160 counts combined after being charged by police with running a prostitution operation out of Wright’s studio and nearby office space for more than a year and a half. Wright is facing 106 charges including prostitution, invasion of privacy, and tax-related counts, while Strong is facing 59 counts including promotion of prostitution and invasion of privacy. They have both pleaded not guilty and have trials scheduled this year. The lease would have ended March 5, 2015. In the court documents, a complaint signed by Bee Nguyen, manager of T&B Inc., says the last payment received from Wright and Strong was $500 on July 6, 2012, leaving them $1,425 in arrears for the amount due in July. Nguyen says the two owe nearly $50,000 in rental costs for the remainder of the lease, as well as more than $7,000 in a share of 20 percent of property taxes. In addition, Nguyen is seeking reimbursement for his legal expenses. While he has tried, Nguyen says he has not been able to lease the space at 8 York St. since it was vacated over the summer.